The technology group Wärtsilä has announced the introduction of a unique hybrid product, the Wärtsilä HY, representing an unprecedented innovation in marine propulsion systems. By leveraging its technical strengths in both engine design and electrical & automation (E&A) systems, Wärtsilä is launching a fully integrated hybrid power module combining engines, an energy storage system, and power electronics optimised to work together through a newly developed energy management system (EMS). It is the marine sector’s first hybrid power module of this type produced, thereby establishing a new industry benchmark in marine hybrid propulsion. 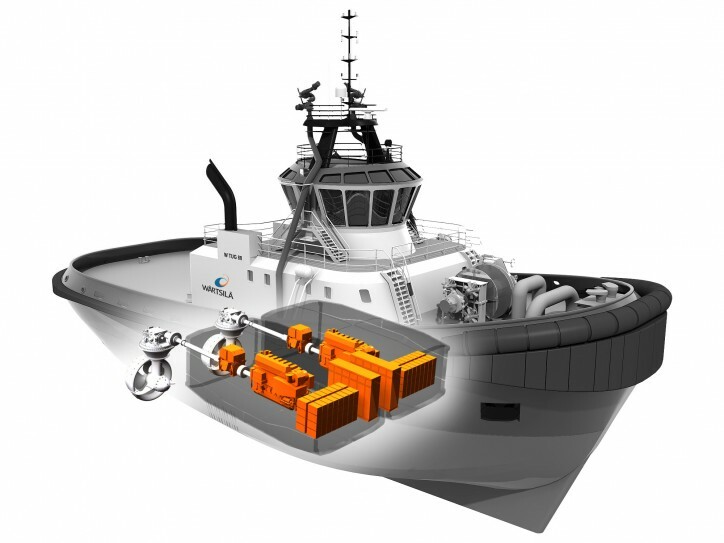 Caption: A typical system arrangement with the Wärtsilä HY for a tugboat application, in diesel-mechanical configuration with shaft motor/generator. There is a notable trend in the marine sector towards hybrid propulsion solutions, which are anticipated to represent a significant percentage of all contracted ships within the coming ten years. The new EMS represents the latest generation integrated control system, and has been specifically designed for this application. It creates an outstanding means of interaction with the ship’s onboard systems. The Wärtsilä HY will provide a wide range of customer benefits through increased operational efficiency and flexibility, resulting in lower fuel consumption, reduced emissions, and improved vessel performance. When operating in ‘Green Mode’ zero emissions can be achieved. Smokeless operation is also achievable at all load points and in all operating modes, thanks to a new patent-pending automation procedure. Furthermore, the reduction in engine operating hours lowers maintenance requirements and extends the intervals between overhauls. 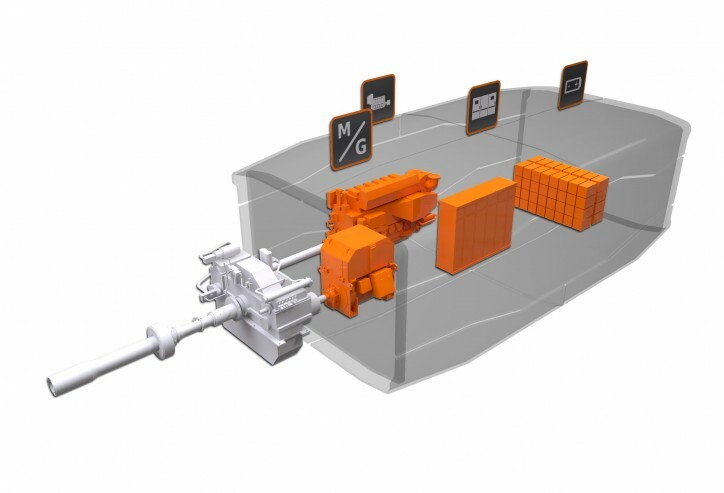 The Wärtsilä HY ensures that the overall vessel performance is greatly improved compared to operating on conventional machinery solutions or hybrid solutions, while the higher level of redundancy promotes increased safety. Other benefits include instantaneous load acceptance with rapid response to step-load changes, entire system certification and guaranteed performance. Caption: The Wärtsilä HY is a fully integrated hybrid power module in a diesel-mechanical configuration. Maritime classification society, Lloyds Register (LR) has issued an Approval in Principle (AIP) certificate for the Wärtsilä HY. The certificate is based on technical material and safety analyses, concerning normal operation of the system and a presentation of risk scenarios. In effect it means that the system design as examined can be expected to be granted full approval by classes for actual projects. “Wärtsilä’s unmatched product portfolio and broad range of in-house capabilities and expertise enables us to develop products such as the Wärtsilä HY, which combines technologies from different fields. This development opens the door to a new era of marine technology that would have been unimaginable until very recently. It endorses Wärtsilä’s leadership in front-end innovation providing unrivalled benefits to our customers and partners,” says Giulio Tirelli, Director, Marine Engineering, Wärtsilä Marine Solutions. The Wärtsilä HY will have dedicated versions for each category of vessels. While the first versions being made available will be designed for tugs and medium-sized ferries. Wärtsilä also sees big potential in other types of vessels as well. This is the first launch of a new product of this type where each individual version is dedicated to a specific market to secure an optimal fit to the requirements of the specific application. The Wärtsilä HY is being officially launched at the Nor-Shipping conference and exhibition being held in Oslo, Norway from May 30 to June 2, 2017.